Andhra Pradesh State Government has announced the"Runa mafi Scheme" Loan status on 07th Dec 2014. 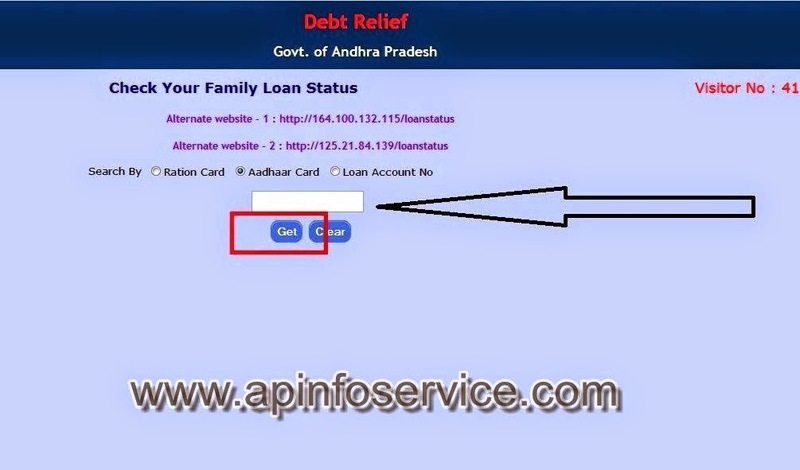 AP Agriculture Minister Prathipati Pulla Rao Officially Realeased 1st Phase Runa mafi Scheme list online.The Detail of Runa mafi Scheme Loan status availble on official Website http://apcbsportal.ap.gov.in/loanstatus/ , The Beneficiaries can check their loan Status online. 2. You Need to Check on (Aadhaar Card Number , Ration Card Number ,OR Loan Number) one of the Id Proof on mention Web Page . 3. Enter the your ID Proof in Below mention Box on Web Page. 4. Than Click on "Get " Button. 6. Finally Get your Loan Status. 7.Click On "Print" Button take Print out of Loan Status. Watch this video for How to check Loan Status of Runa Mafi Scheme.